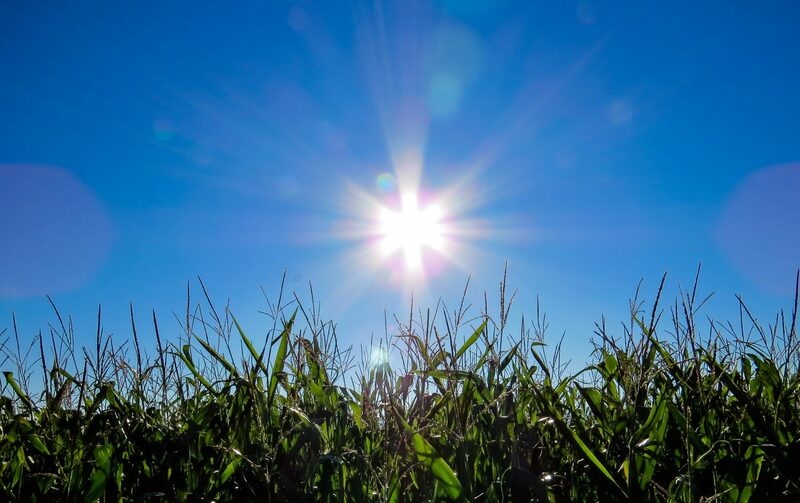 The summer might be winding down, but the sun’s strong UV rays are still out in full force. August is known for Labor Day Weekend festivities and last-minute backyard barbecues, which means you’ll probably be spending some time outside soaking up the last few weekends of summer. 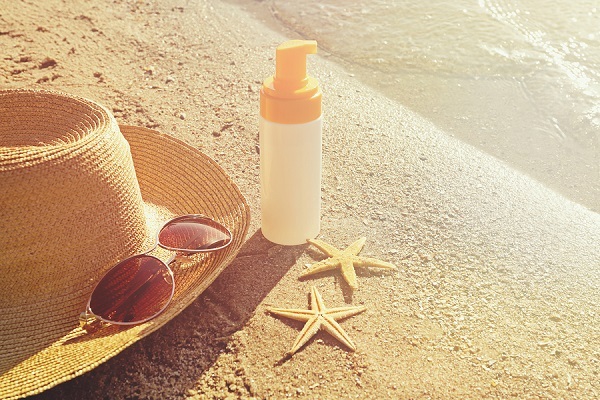 Anti-aging is a concern for many people year-round, but extra precautions should be taken in the summer when the sun’s UVA and UVB rays are at their strongest. These anti-aging tips will help protect your skin from long-term summer sun damage. Did you know UV rays are responsible for up to 80% of skin aging? Think of the sun as the Anti-Fountain of Youth. Instead of keeping you looking soft and young forever, the sun dries, damages and ages your skin prematurely. UVA rays (which penetrate deep into the skin) and UVB rays (which burn the superficial layers of the skin) can alter skin cell chemical production, leading to spotty and irregular pigmentation due to the mutation of the chemical melanin (the chemical that makes our skin appear tan after sun exposure). Excessive sun exposure can also lead to the breakdown of collagen and elastin fibers, robbing the skin of its strength and elasticity. When it comes to anti-aging tips, the best advice is to take preventative measures before any serious damage is done. Consider these five factors proven to protect your skin against the sun’s harmful UVA and UVB properties. The sun is at it’s peak strength between 10am and 4pm, giving you a six hour window to be especially cautious if you are going to be spending any time outside. For those concerned about aging skin, your best plan of action is to avoid prolonged direct sunlight between these hours. This is not always possible, however, and even overcast days without direct sunlight can still cause sneaky UV damage to bare skin. If you are going to be outside between 10am and 4pm, protect your skin by finding a place in the shade, carrying an umbrella, and/or wearing a hat and UV-protective clothing. One of the most well-known summer anti-aging tips is using sunscreen, and for good reason. A study done by Johnson & Johnson’s Skin Research Center found that sunscreen not only protects skin from sun-induced aging, but actually repairs aged skin after a period of time. Our skin cells renew approximately every 28 days, and this study revealed that wearing SPF 30 for a year (around 12 cycles of skin cell renewal) reduces overall skin pigmentation, texture and clarity. This is because sunscreen provides an extra layer of protection to your skin, which gives skin cells a chance to relax and restore rather than having to constantly defend against the sun’s damaging rays. 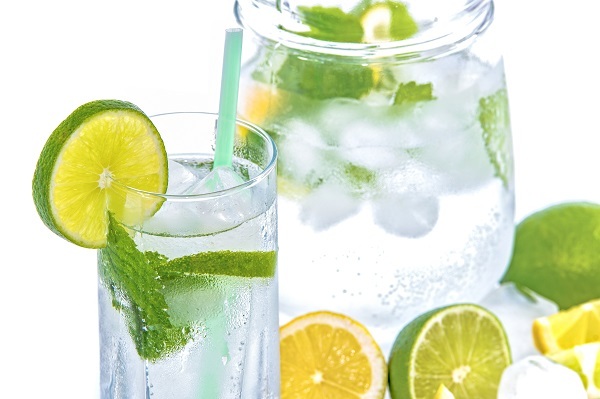 Hydration is key in the fight against aging, especially in the summer! Dehydrated skin is similar to a plant without water – wilted, rough and dull. With the sun’s rays at their strongest in the summer, your skin is far more susceptible to textural changes due to dehydration. Aim for 8 glasses of water per day, and more if you are going to be spending prolonged time in the sun. The skin is our largest organ, and also the only organ outside the body. For this reason, it is important to also hydrate from the outside with moisturizers. To combine anti-aging tips 2 and 3, look for moisturizers with built-in SPF 30 or higher for added UVA and UVB protection. An unhealthy diet can wreak havoc on your skin, so a powerful line of defense against the sun’s rays is by incorporating anti-aging superfoods into your meals. For those concerned with wrinkles, working vitamin C-packed pomegranates into your diet will fight free radicals and preserve collagen. If you’re looking to keep your skin firm, turn to beta-carotene and lutein-rich kale and spinach to improve elasticity. If dry skin is bringing you down, a daily teaspoon of olive oil’s heart healthy omega-3s will improve circulation to restore your healthy glow. When it comes to anti-aging tips, knowledge is your greatest form of protection. Understanding the damage the sun can do to your skin is only step one – knowing how to protect your skin from sun-induced aging will provide you with the tools needed to keep your skin healthy and glowing for years to come. Of course everyone’s skin is different, so it is important to discuss with a functional medicine doctor to determine the best anti-aging skincare regimen for your needs and lifestyle.